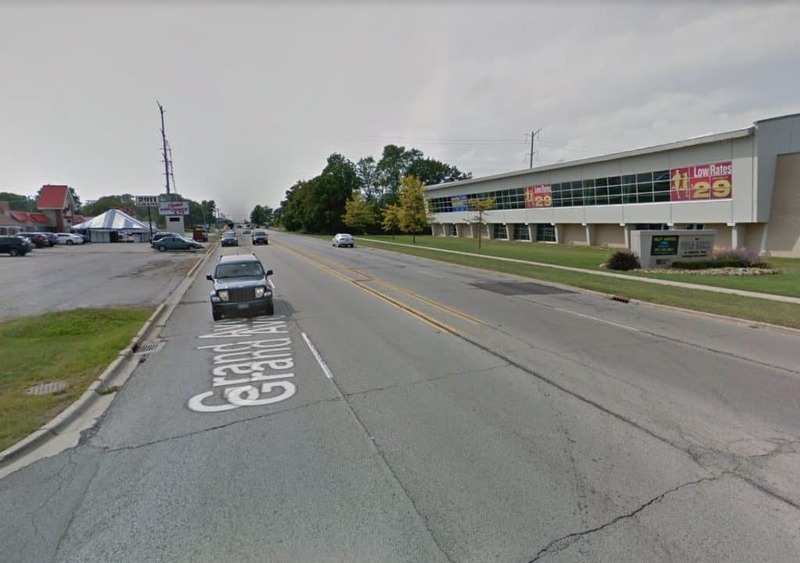 A 38-year-old man was fatally struck by a hit-and-run driver in the 2900 block of Grand Avenue in Waukegan Sunday evening | Photo: Google Street View. The Waukegan Police Department is searching for a hit-and-run vehicle that struck a 38-year-old man, who later died Sunday evening. The Waukegan Police Department and the Waukegan Fire Department responded at 11:45 p.m. Sunday to Grand Avenue near Frolic Avenue for a person down in the street. Waukegan Police Chief Wayne Walles said that responding officers found the victim in the street after being hit by a vehicle. The victim, who police said is a 38-year-old man, was transported to a local hospital with serious injuries. He died early Monday morning. The Waukegan Police Department’s Major Traffic Crash Unit (MTCU) was called to investigate the incident. Investigators believe the victim was in the curb lane for eastbound traffic when he was struck by the suspect vehicle, Walles said. Police have not released any information about the vehicle or driver that fled the scene. An autopsy was scheduled for Tuesday by the Lake County Coroner’s Office. Anyone with information about the crash is asked to call Waukegan Police Sgt. Roush at 847-599-2630.